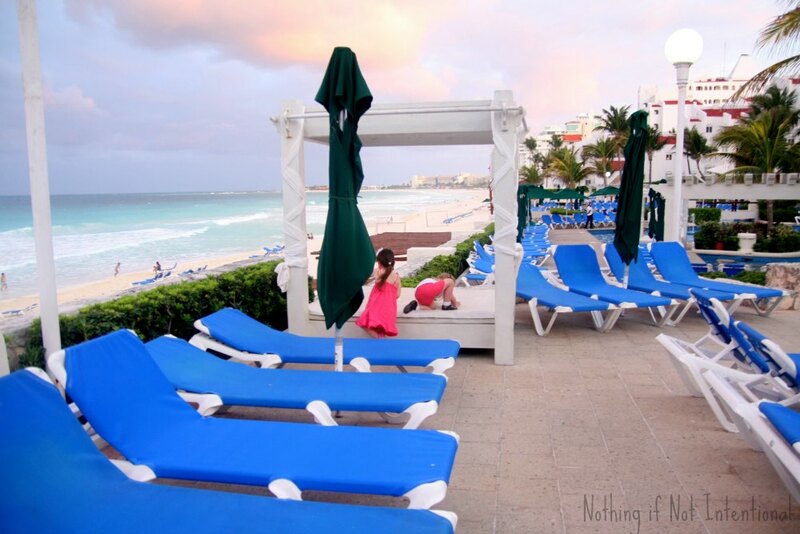 When you think of taking a trip to Cancun, what comes to mind? The beach? Sunshine? Snorkeling? Cheap drinks? Drunken college students throwing themselves off balconies into the pool at 2 a.m.? Very few of those stereotypes could be considered “family-friendly.” But guess what? 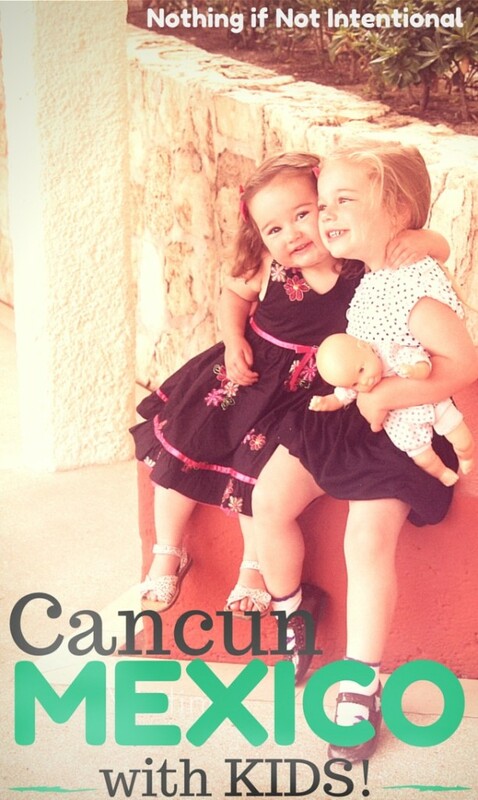 A few months ago, we went with our girls (ages three and one) and our niece and nephew (an infant and a three-year-old) to Cancun, and the kids had a fabulous time. 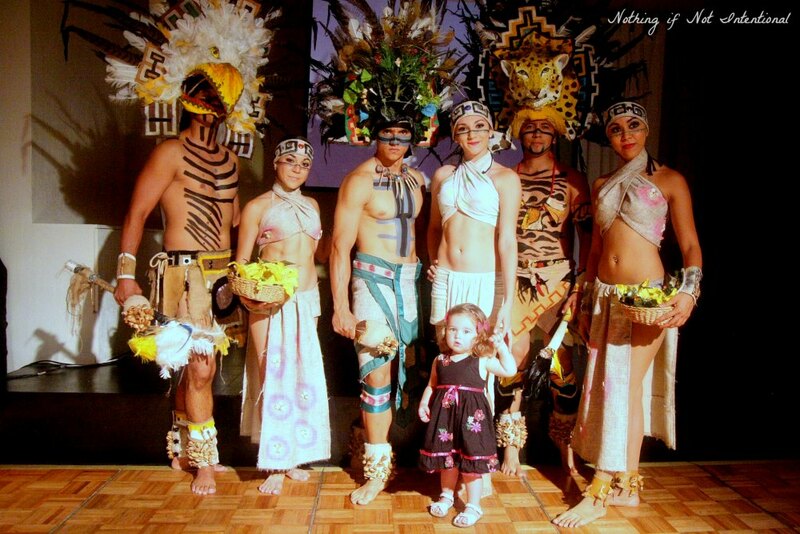 This wasn’t my first trip to Cancun. I went about two decades ago with my parents. 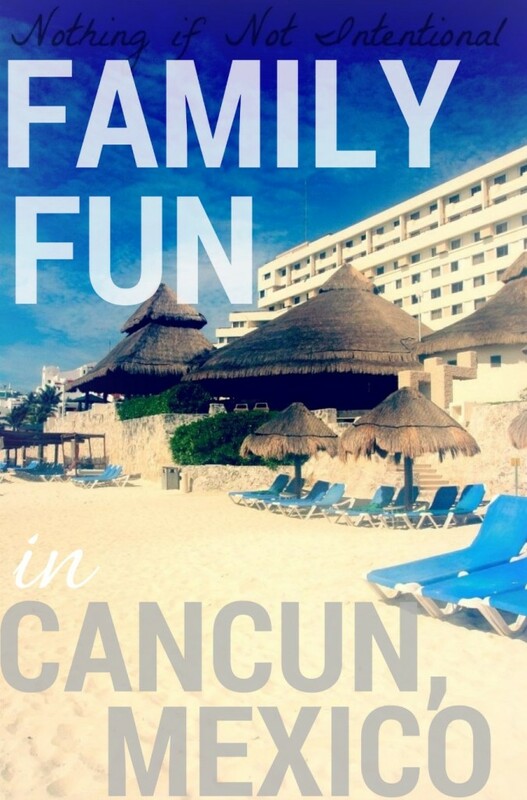 But between that first trip and the latest one with my own toddlers, I started to think of Cancun as less of a family-friendly vacation destination and more of a party spot. However, I was willing to give it a try since there are great deals floating around for all-inclusive vacation packages to Mexico! 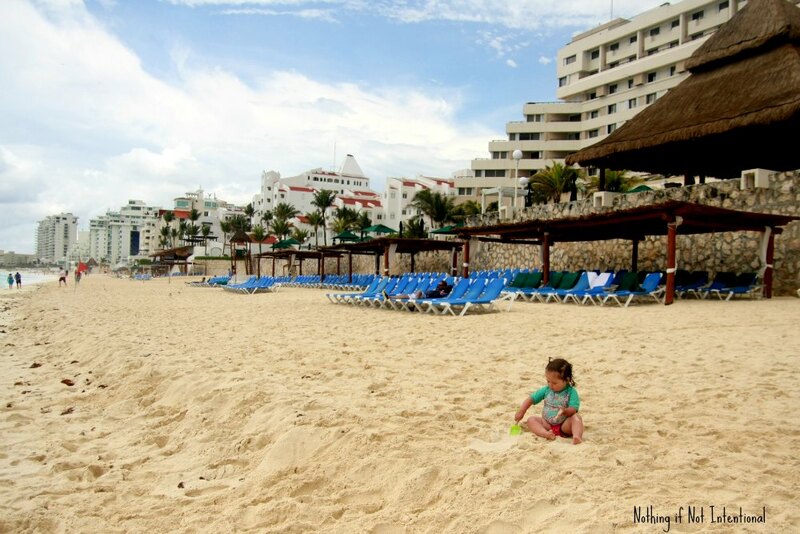 We’re big fans of all-inclusive resorts that welcome families. 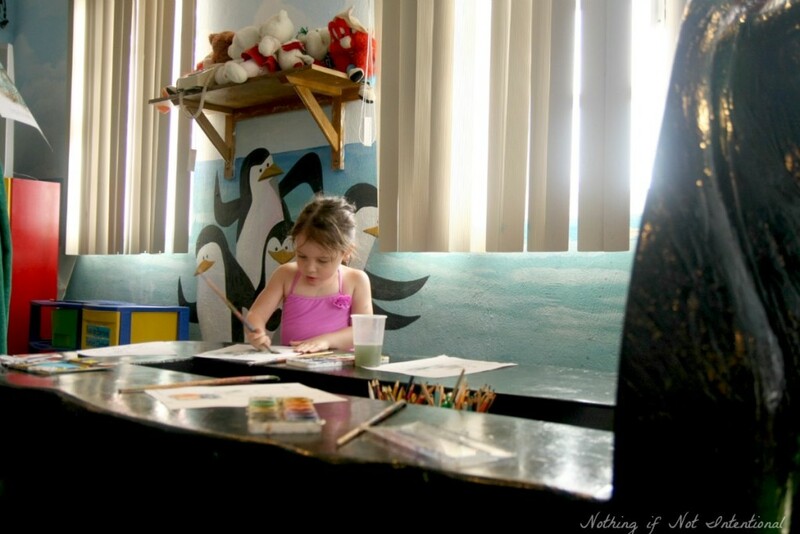 In fact, we have an entire post filled with tips for taking kids to all-inclusive resorts! 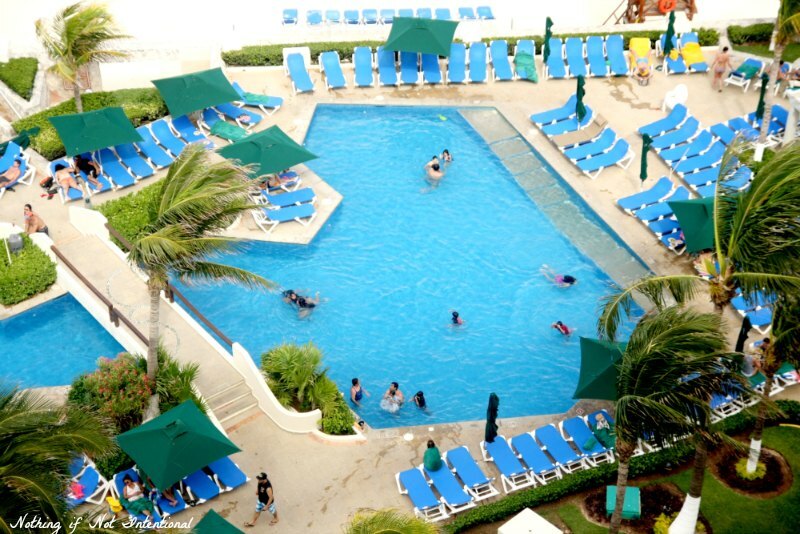 For this particular trip, we stayed at Royal Solaris Cancun. For our girls, one definite highlight of the Royal Solaris was the water park. 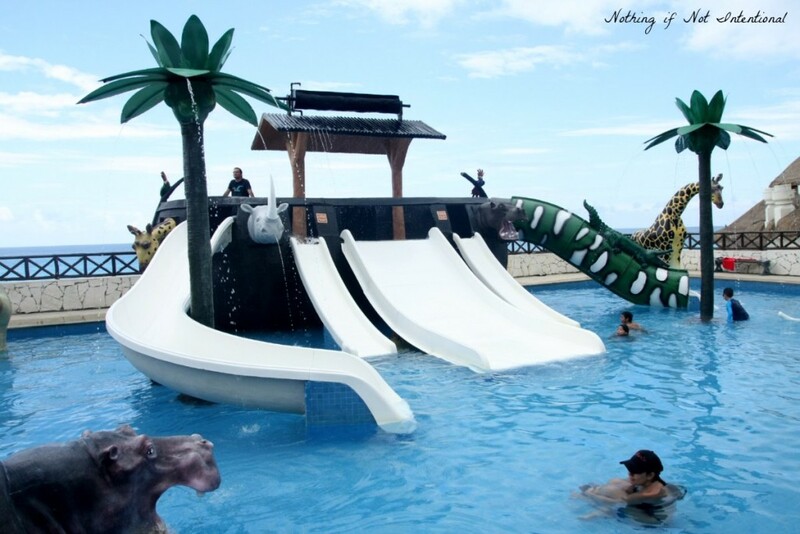 Three big slides, fountains, and plenty of room to splash and play. Outside of the water park, there were several other pool options. We were all happy to swim. Humidity is high in Cancun, and the water felt great! Life jackets were not provided; we we’re glad we brought our puddle jumpers. The water park was connected to the kid zone where our preschoolers colored and played games. Cancun beaches are beautiful, although the waves were a bit rough near where we were staying. The covered awnings and “umbrellas” made out of palm branches provided much-needed relief from the sun. Traveling with a baby? Don’t miss our tips for taking baby to the beach! 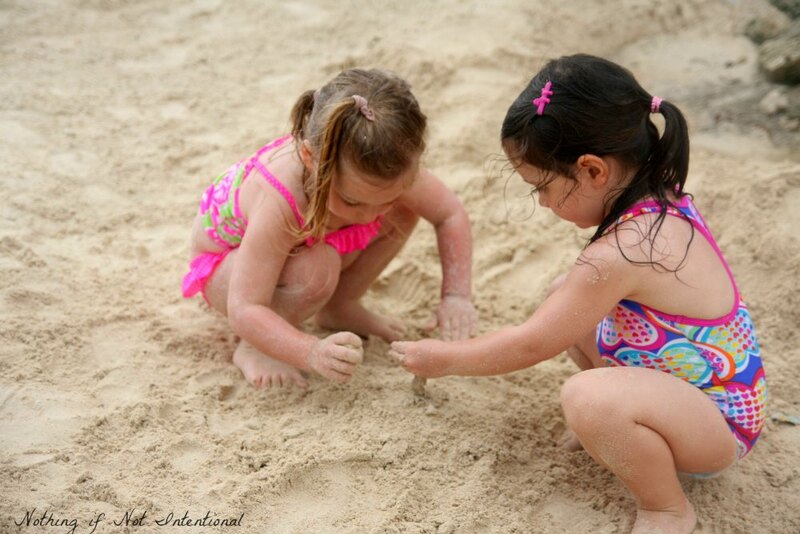 For older kids, check out these 35 FREE things to do with kids at the beach. Alcoholic beverages were included in our packages, but the favorite drink of the week would have to be the non-alcoholic smoothies. Fresh mango and orange juice from the swim-up bar. How lovely! You can read my copycat mango smoothie recipe HERE. During naptime, we read books and enjoyed the view from our balcony. Before bed, we would head down to catch the evening entertainment. Our oldest loved the “funny guy”–a talented comedian who could make people laugh with pantomime and without words. 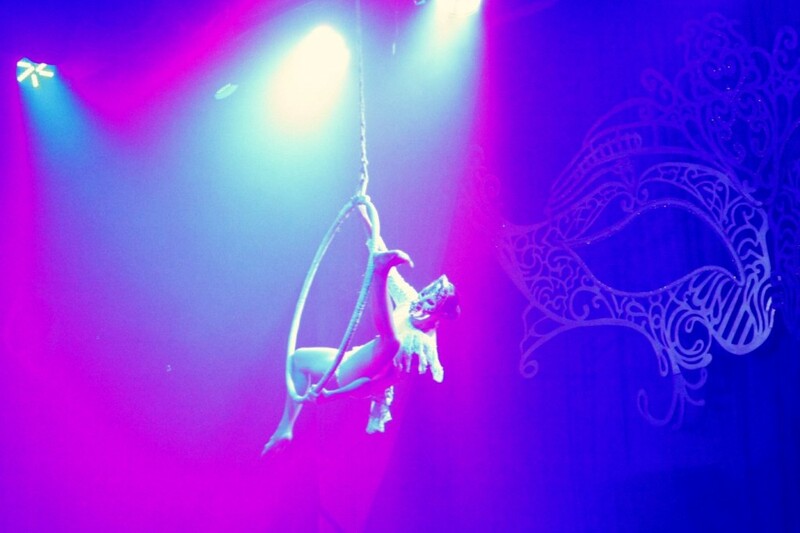 As for me, I was pretty impressed by the acrobats. One thing my husband observed at the hotel, all of the staff (servers, dancers, entertainment crew) seemed to be smiling genuinely and having fun even when they didn’t know we were watching. I’m paranoid about water safety. I asked the hotel for assurance that the water was purified (the tap water was not, but our room fridge was stocked with bottled water and more water was available when we needed it). We tried to be cautious with foods that might have soaked in tap water (like lettuce). Out of the eight people in our group, only one got (very, very, very) sick. (Thankfully, it wasn’t one of the kids.) We will probably never know what caused it. Had Uncle Chris not felt sick, we probably would have taken a day trip to the ruins and local sites. Chichen Itza is just two hours from Cancun! As it was, we (happily) just hung around the resort. The biggest complaint we could come up with for our resort was that Wifi was not free (as of May 2014). After our disaster in Puerto Rico, safety was definitely a concern. Moments before we purchased our tickets, I frantically posted a message in a group for family travel blogger’s group about the safety of Cancun. I think it was Keryn (from Walking on Travels) who first told me to go for it. I couldn’t let the criminals win and steal the beach from me. So while I’ll never go walking on the beach at night again, I’m so glad we went to Cancun. 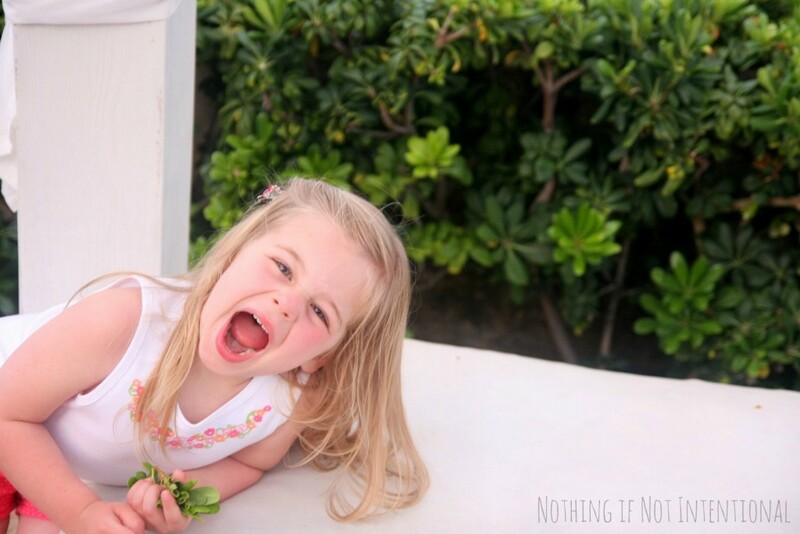 One last tip: before you leave, read these 14 tips for traveling internationally with kids! ← Treats that aren’t sweets: 11 Halloween candy alternatives for trick or treaters.